E, come se dice … ? “Foss,” in the local Venetian dialect, means ditch and “Maraï” is the name of a valley in Guia, Italy where Foss Maraï Extra Dry Prosecco is produced by the Biasiotto family. Wine production on the Foss Maraï property began in the late 20th century but exploded under Carlo and Adriana Biasiotto, when Foss Maraï became a brand leader in Prosecco. Like some of the larger Champagne houses in France, Foss Maraï has a strong marketing and branding philosophy, which helps explain the unique blue bottle! This wine is “Extra Dry,” meaning it contains between 12–17 residual grams of sugar per litre. So, how does this wine stack up? Read on to find out! Straw colour, with a lively, almost carefree perlage. Fragrant, fruity and lively in the glass, with dominant floral and citrus aromas, with hints of pear and apple. Kind of like the Valdobbiadene countryside in the late summer. Light bodied, surprisingly dry (despite the “Extra Dry” classification – which means “off dry” in Italy), with medium-high acidity with a lingering, refreshing finish. Well balanced, though the lively mouthfeel leads to predominant flavours of white fruit, citrus and bitter almond. A very easy sipper and sure to be crowd pleaser! It’s a POP! We love a light, easy drinking Prosecco and we were very surprised by how “Dry” this “Extra Dry” wine was – guess it’s perfect for that “Dry January” thing everyone’s talking about, eh?  The “Extra Dry” actually helps round this wine out and it’s sure to be a crowd pleaser! 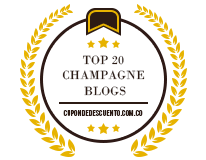 Hey Buddy!, I found this information for you: "Foss Maraï Extra Dry Prosecco – Review". Here is the website link: http://sparklingwinos.com/foss-marai-extra-dry-prosecco-review/. Thank you.